Storytelling for filmmakers can sometimes be a very complicated process especially when it’s not a passion project but rather a paid commercial project with constraints from the client. For years, I was in search of a proven formula to help me tell documentary stories for my clients and I kept hitting a brick wall. Eventually, after a year of research, I started to figure out what questions to ask my interviewees to help me create proper three-act stories that captured an audience’s attention. The setting for your film. This is where you explain the backstory that will support the character’s journey in Act II. Usually, this describes what life was like before the inciting incident, then introduce that moment that changes your character’s life forever. The journey of your character. This is where your character makes a decision to try and achieve his or her goal. The journey is filled with ups and downs as your character transforms throughout the story. The conclusion to your story. This can be described as your “…and they lived happily ever after.” After the main character achieves his or her goal, how does their life change? What happens next? or in commercial what should I (the viewer) feel and do next? Audience empathy is a moment early on in the film where you begin to feel sorry (or feel empathy) for your main character. Almost every Hollywood film portrays some sort of audience empathy for the main character within in the first 15 minutes or so. This is where we first reach a level of connectedness with our character so we now care about what happens next. The inciting incident is that moment when a life-changing event happens to the main character that shapes his or her journey from this point forward. This usually happens early in the film right before the end of Act I. 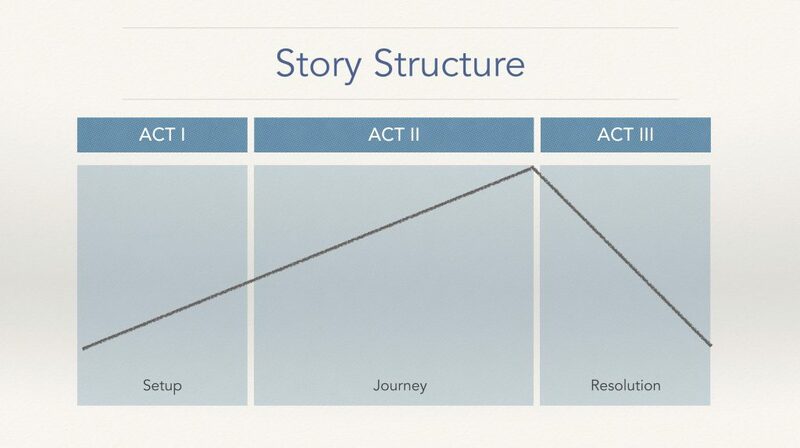 Plot point one is the intersection between Act I and Act II and it’s the decision that the main character makes to begin his or her journey, the goal he has determined he or she must achieve. Plot point two is the intersection between Act I and Act III. This is when the main character achieves his or her goal. This is usually the most emotional moment of the entire film when everything comes to a head, The moment we’ve all been waiting for. 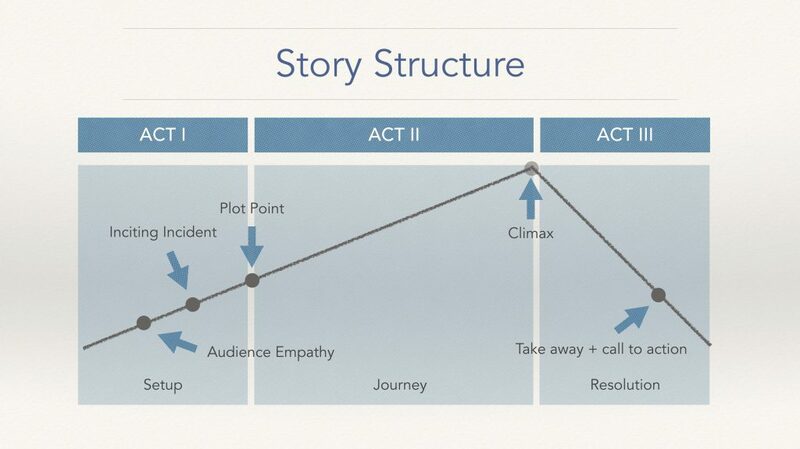 So how do you get three-act story structure from your interviews? ACT I : How does my character’s story begin? ACT II : What is my character’s journey or objective? ACT III : How does my character’s my story end? Audience Empathy : How can my audience empathize with my character early on? Inciting Incident : What changes or disrupts my character’s everyday life? PP1 : What does my character decide to do about it? PP2 : What is the goal of my character’s decision? Take Away : What does my audience need to feel at the end of the journey? Call-To-Action : What does the audience need to do at the end of my story? When producing stories for film, there is no rule that anyone must follow. Whether you do it by feel or follow a step-by-step process, the goal is to create something that makes your viewer feel the way you intended them to feel. For me, I always gravitate towards emotion and I have found that these three-act tricks help me get a great story from my interviews. I hope you find some gold nuggets in this article.